No one knows how to have a great time with you like your best friends. But here’s the problem, you’re nearly always together. And this can get a little pricey. And as much as brunch and visits to theme parks are fun, they begin to add up. In the interest of friend bonding, we came up with a list of unique activities that don’t cost that much money. And honestly, friendship is always about finding ways to amuse yourselves and putting your imagination to work. Here are five fun things to do with friends. Exercising with friends can make it more fun, and increase the chances of sticking to your exercise plan. Sure it’s the weekend, but are you going to tell me you actually had time to work out over the week? That’s what I thought. The company of your friends can keep you motivated, and it makes you save money! Ask your friends on what fitness levels they are and try to match it up so you can spur each other on. You’ll be surprised to find out it’s one of the fun things to do with friends. If you feel pretty confident in the kitchen, invite your friends over to bake together. While going out to dinner with friends is always a good idea, cooking at home can be more interesting, relaxing and cheap. You can talk, bond, play music and ultimately learn new things about each other while making delicious treats like pies, brownies, or vegan bars. If you put a list of ingredients on a list, there’s no way the total will be more than one single check at the restaurant. Look no matter what your skill level, crafting is always more fun in good company. And it’s the perfect opportunity to unwind and have fun while your hands are busy. Think of it as your own craft night. The fun part starts with the planning stage. You and your friends get to decide what you want your creative night to be all about. So you can keep it basic and fun or go the extra mile and put on the time for more elaborate projects. Think origami boxes, knitted postcards, or natural dye t-shirts! The possibilities are endless. Another idea to spice up your friend hangout this week is by visiting your nearest Escape Room. It’s a great way to break out of your usual ‘going out routine’. Think of it as a real virtual reality game. You’ll be fully immersed in your designated room for an entire hour solving puzzles and cracking codes. You and your friends will basically be an Indiana Jones team. Besides, in a time where smartphones surround our everyday mundane and fun times, keeping your mind occupies away from the screen is important as it is interesting and innovative. Here’s what a lot of people don’t know. If you’re a student and have I.D. museums usually offers surprisingly good admission prices that are even free sometimes. Get a culture boost and visit a museum. Feeling a crave? Indulge on a croissant from the museum café if your admission was no more than $6. Go on an enjoy some good old school fun with your friends. Our social interactions affect our health and well-being. And when you’re able to spend quality time with friends and not worry about over the top expenses the benefits always outnumber the cons. So think about it. As you grow older, life moves faster. The time with can spend with our friends is quite precious, so make the most out of it right now. If you want to learn about more fun things to do with friends stick around! 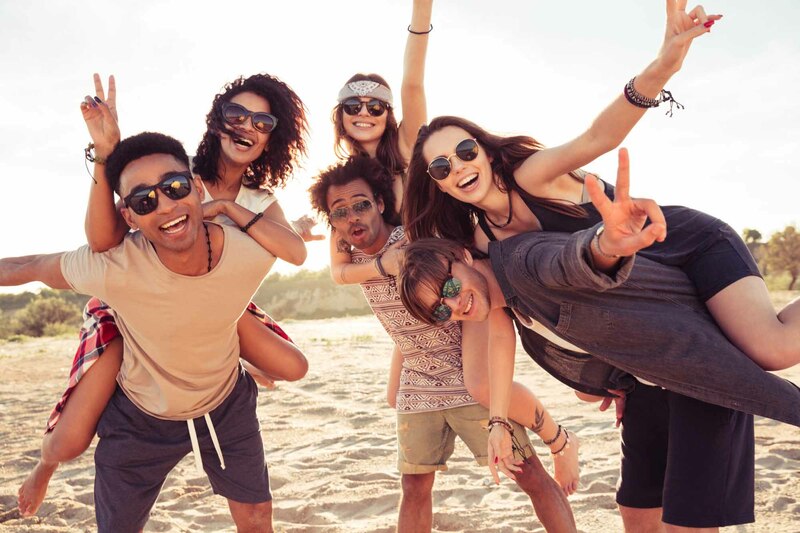 Click here to read more about interesting trips you can plan with your best friends. Have a great weekend!